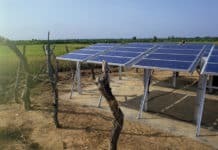 The U.S. Office of Energy Efficiency and Renewable Energy (EERE) on Jan. 31 announced it would invest as much as $30 million to fund new projects that support solar energy-grid integration. 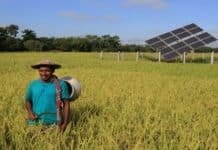 Thirteen projects chosen by the federal Department of Energy’s (DOE) SunShot Initiative will receive ENERGISE (Enabling Extreme Real-Time Grid Integration of Solar Energy) funding to carry out research and development (R&D) of next-generation grid planning and operation tools that will enable “dynamic automated and cost-effective management of solar and other distributed and variable renewable power generation sources,” DOE explains in a news release. The news comes amidst heightened levels of uncertainty regarding federal U.S. energy policy that’s come about as a result of Donald Trump’s surprising presidential election won this past November. Various news reports, as well as sources contacted, reveal that renewable energy industry stakeholders are concerned about the prospect of President Trump seeking to reverse the course of federal renewable energy and climate change policy established during now ex-President Barack Obama’s eight-year tenure. However, they also believe that “decarbonization” of energy in the U.S. and around the world has progressed so fast and so far that the rising trend will not be derailed. Trump and US Energy Policy: Back to the Future? Statements made by the new U.S. president in the years leading up to and during his election campaign – as well as his subsequent nominations for key Cabinet positions – have raised the specter that Pres. Trump would guide the U.S. “back to the future” as far as federal energy policy is concerned by supporting much more in the way of fossil fuel exploration and resource development while wiping out federal support for renewable energy and climate change action. Those “fires” persist, but they have been quelled somewhat, and for a variety of reasons. Strategic focal points during Obama’s two terms in office, renewable energy and “cleantech” have emerged as dynamic, vital drivers of sustainable socioeconomic development, growth and “green” job creation in the U.S. 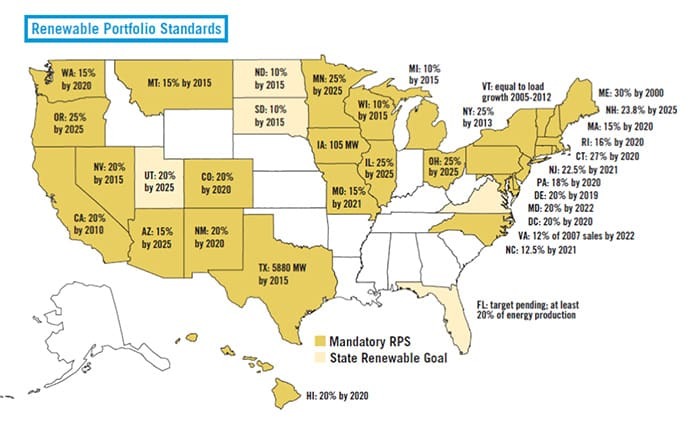 The SunShot Initiative and other pro-solar and energy efficiency policies and programs launched during Obama’s two terms in office have served as important “keystones” supporting development and growth of U.S. renewable energy and cleantech, two emerging economic sectors generally considered pillars of a vital and sustainable 21st century economy. The costs of solar, wind and other renewable energy declined dramatically in the U.S. over the eight years Obama served as president. U.S. solar power generation soared 30-fold during Obama’s presidency, a White House factsheet released in July highlights. The average cost of installing a residential solar energy system dropped dramatically in parallel – more than 50 percent — from over $8 per watt of direct current (DC) produced to $4 between 2008 and 2016. Hundreds of thousands of skilled, well paying “green” jobs have been created as a result. According to recent industry research, U.S. solar energy companies have been creating skilled, well paying jobs 12-times faster than has been the case for the economy as a whole. 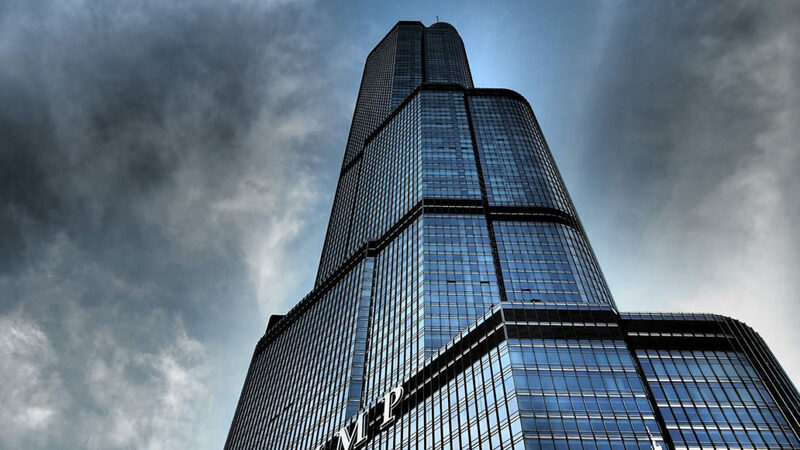 That’s a most welcome development given the economic “crater” created by the 2008-2009 banking crisis and historically unprecedented levels in the concentration of wealth and income that has developed in the U.S. since the 1980’s. 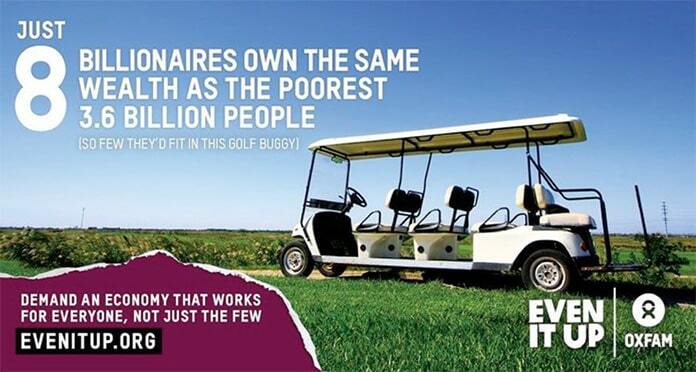 A study from Oxfam International presented during the 2017 World Economic Forum annual meeting in Davos, Switzerland in January revealed just how extreme the gap between the world’s wealthiest individuals and the rest of humanity. Just eight individuals own wealth equivalent to that of the 3.6 billion or so that comprise the bottom 50 percent of the global socioeconomic pyramid, according to the study. A specialist in renewable energy in the built environment, Rocky Mountain Institute’s (RMI) Joseph Goodman believes that the solar industry has reached a pivotal point at which it can compete with fossil fuel power without subsidies. “Doing so liberates the industry from politics and harnesses the full power of America’s economic engine.” The resulting benefits will generate jobs, add resiliency and extend across the environment while lowering consumers’ energy costs at the same time, he explained in an email response to questions. 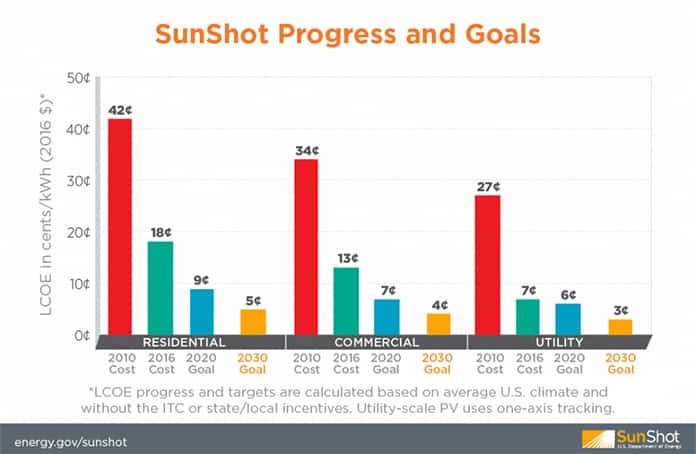 Just five years later, as of November 2016, the U.S. solar industry is more than 90 percent of its way toward achieving SunShot’s utility-scale goal and has also seen significant cost reductions in residential and commercial solar, DOE reported in its SunShot Vision Study. Overall, the cost of solar energy dropped an average of around 65 percent nationwide between 2011 and November 2016. These and other well documented statistics make it very difficult to assert that the supportive policies and programs created and established during Obama’s presidency have not been effective, or substantially beneficial economically, socially and environmentally. That hasn’t stopped the the fossil fuel industry, its legion of political lobbyists or members of Congress, primarily Republicans, from trying their best, however. Trump’s typically antagonistic posts on Twitter and populist rhetoric in favor of the fossil fuel industry and climate change denial resonated with “blue collar,” typically conservative “working class” Americans. Their votes played a large part in his November election victory. That said, continuing federal support to advance renewable energy has gained bipartisan support in the U.S. Congress in recent years, and for good reason. Iowa and Texas, for example, number among the leading U.S. states in terms of wind power generation, industry investment and job creation. Pres. Trump’s fellow Republicans represent both states in the U.S. Congress. Trump has nominated longstanding “climate change deniers,” such as former Oklahoma attorney general Scott Pruitt to head the EPA (Environmental Protection Agency), to key Cabinet positions. That could include Trump’s nominee for Energy Secretary, former Texas governor Rick Perry. Wind power generation capacity in Texas soared during Perry’s term in office, however. Furthermore, Trump’s Secretary of State, Rex Tillerson, who retired as Exxon-Mobil’s CEO and chairman upon being nominated, has voiced his support for institution of a carbon tax. In addition, newly appointed Defense Secretary James Mattis, a retired Marine Corps. general, has come out in favor of supporting renewable energy research, development and use in the U.S. Armed Forces. Mattis is a longstanding advocate of developing and deploying solar-storage microgrids to better carry out and sustain field operations. “Reflecting on lessons learned in both Iraq and Afghanistan, Mattis testified that the ‘military must be unleashed from the tether of fuel,’” according to a recent news report. The U.S. Solar Energy Industries Association (SEIA) is taking a guardedly optimistic perspective on U.S. solar energy prospects during Trump’s term in office. 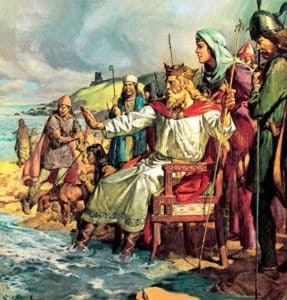 Donald Trump as King Canute? “President Trump clearly understands the power of competition, which aligns well with our goal of ensuring that solar energy can compete on a level ground with other energy sources,” SEIA vice president of communications Dan Whitten explained in an email. Eliminating key federal incentives, such as the solar investment tax credit (ITC) would be unpopular, even in “Red” (Republican) states, added John Farrell, Director of Democratic Energy at the Institute for Local Self-Reliance (ILSR). 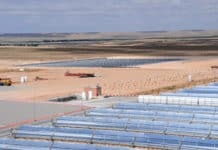 There are too many good solar projects up and running in states where federal research and development funding are too important for killing the credit to be politically viable, he elaborated. “The solar investment tax credit has been a tremendous success and is doing exactly what Congress intended it to do when it reformed it last year,” SEIA’s Whitten added. 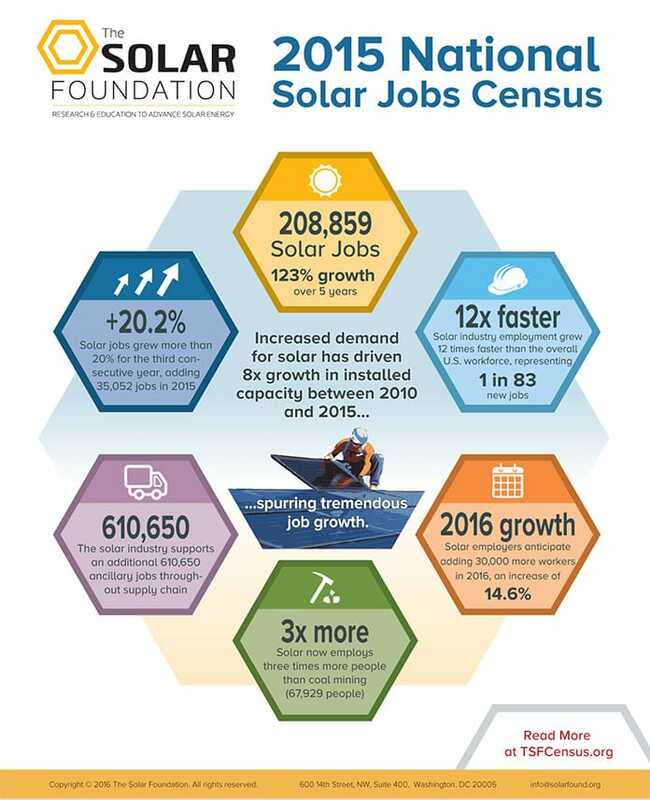 According to SEIA, U.S. solar installations will triple and solar industry jobs will more than double by 2020 if the solar ITC remains in place. That would bring the total number of Americans employed in the solar industry to more than 420,000. Given his oft-repeated promises to revitalize the manufacturing sector and bring good, well-paying jobs back to the U.S. Trump would be hard put to justify standing in the way of the federal government staying on course set by the Obama administration and continuing to support development and growth of solar energy in the U.S.